David Poole’s innovative book emphasizes vectors and geometric intuition from the start and better prepares students to make the transition from the computational aspects of the course to the theoretical. Poole covers vectors and vector geometry first to enable students to visualize the mathematics while they are doing matrix operations. With a concrete understanding of vector geometry, students are able to visualize and understand the meaning of the calculations that they will encounter. By seeing the mathematics and understanding the underlying geometry, students develop mathematical maturity and can think abstractly when they reach vector spaces. 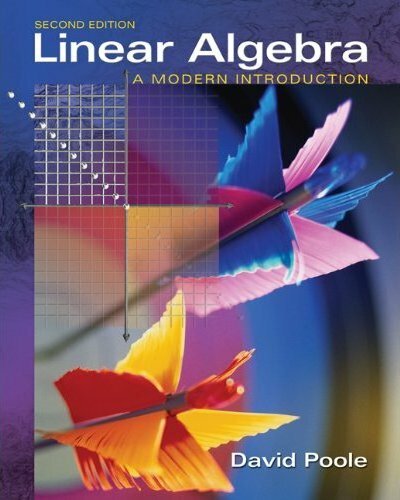 Throughout the text, Poole’s direct conversational writing style connects with students, and an abundant selection of applications from a broad range of disciplines clearly demonstrates the relevance of linear algebra.